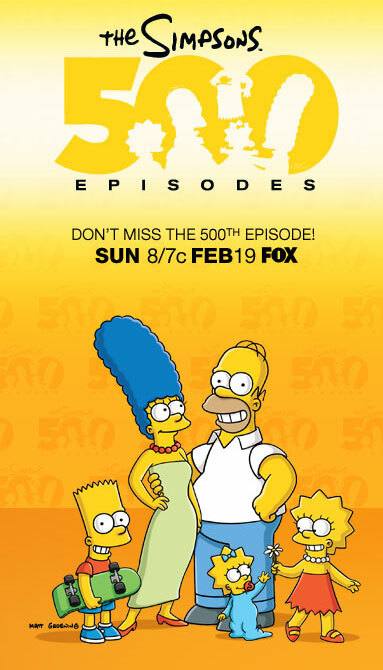 Fox is gearing up for their mega “The Simpsons’ marathon which will ambitiously air all 500 Simpsons episode in one sitting. The network is sponsoring the marathon to celebrate the 500th episode of the long-running animated series and is preparing to take over a new Guinness World Record for longest continuous television viewing in the process. The record is currently held by three viewers of “24,” who beat out 100 other contestants in a similar marathon organized by Fox in 2010 by watching 86 hours, 6 minutes and 41 seconds to watch all six seasons of the drama. “Simpsons” fans will have to stay awake for over 200 hours to watch every episodes of the series, which won’t be an easy task. More than likely, this will likely come to down to a single winner and a tough battle with sleep deprivation. The prize? Forced Insomnia and $10,500.